When we think about adventure, oftentimes we think of people like Sir Edmund Hillary and the intrepid pioneers who go places where we only dream, into space or below the sea. They prepare themselves the best they can to deal with extreme environments and threats unknown, to conquer challenges only very few even dare to confront. Running a business doesn't have the same kinds of perils, but there are risks and challenges that push us to the edge of our abilities. As entrepreneurs, we face our fears, must accept the penalties of failure, and make steps to places no one has been. Many American businesses prefer to stay in America. It's a huge market here. Three hundred million people who all speak the same language and abide by roughly the same laws presents plenty of opportunity for most businesses. To expand beyond our borders requires the desire to learn about other cultures, other ways of doing business, and the risk of investing in something that may amount to nothing. At the end of this blog, I wrote 5 lessons that I learned about doing business internationally. In my earlier years, I had the chance to do some traveling, and I love it. Anyone who has been bitten by the travel bug knows what that is like. This curiosity of different places, different ways of thinking, different customs - it's fascinating and puts everything we think we know into perspective. The first time you ride on the proverbial "chicken bus", you get a different sense of life, and it's exhilarating. A few months ago, I got a call from a cheerful voice by the name of Charlotte, who had read about some of the public speaking I'd done and was wondering if I'd be interested in speaking at a conference called EnterConf in Belfast. It was the first time I'd been invited to speak outside the US, and at first, I was suspicious. I mean, GreenRope is a growing company, but to be called to speak on the same stage as the founder of Zendesk, the CEO of Docusign, the general manager of Evernote Europe, and other heavy hitters was an unreal feeling. Did they really know GreenRope only had 3,000 customers? Evernote has over 100 million! Of course I said yes. Who would refuse something so cool? I had never been to Belfast, and only knew of it as the place where they filmed many parts of Game of Thrones and where they built the Titanic (which, interestingly, are actually the exact same buildings). The conference itself was in a big warehouse, with two stages, booths for exhibitors, and plenty of people milling about. They converted it from a big indoor skate part into a business arena. Staffed by some of the friendliest, most dynamic conference management staff I have met, the entire experience was awesome. I was coached by Alessandra and Tatiana, our marketing team, on how to use Twitter effectively at a conference, and that created some really great interactions between other attendees. I see now how effective Twitter can be as a networking tool, and as a way to give support to people who are attending and presenting at conferences. It was fun to distill messages into bite-sized chunks and share them with people. I only have a few hundred followers, but it was fun to see the interactions. My talk was very well received, and afterward I hosted a roundtable of people interested in learning more about marketing automation. What I found was that there are a lot of misconceptions of what marketing automation really means. Many people in marketing come from different industries and backgrounds, some of which are early adopters and others which are the old, slow-moving giants. Everyone knows that the world is moving toward more efficient communication and the importance of gaining deeper understanding of our clients, but most don't know how to get there. It was fun sharing ideas with people from all over Europe. I took some time after the conference to walk around the city and take it in. Belfast has a lot of history, and not all of it pretty. There is still an underlying tension between the Irish Catholics and the Protestants, but it's much less obvious now. Graffiti adorns walls, reminding us of the tension, but you can walk the streets in safety. I am hopeful that in another generation, most of the tension will be historical. My next stop was London, to meet up with a good friend who lives in Ascot. Unfortunately, I missed the famous races by a day, and only got to experience a party afterward. I met a lot of awesome people there and had a chance to connect with a couple English businesses. It was a nice break before moving on to my next destination, Switzerland. The Swiss are known for their ability to create things with precision. When I landed in Zurich, I met up with our European partner, Daniel. He and I would spend the next couple weeks traveling through Europe making connections with companies who could take advantage of our CRM and marketing automation software. He owns a company that licenses GreenRope and offers it to his clients. While in Switzerland, we met up with some mid-sized businesses that did work in manufacturing. Manufacturing isn't something that a lot of people think would need marketing, but the Swiss economy is forcing some changes, due to some issues with their currency. They are being forced to cut costs and find other ways to be competitive, and marketing automation is something that they all need. In our meetings, we found that even in larger companies, the concepts we presented with integrated sales and marketing were new. While in Zurich, I met up with our friends at Evernote, the software we recently wrote an integration for that links your Evernote notes with your GreenRope CRM. Since Evernote also has a business card scanning feature, you can now also scan cards and import them directly into GreenRope. Very powerful and efficient! For those of you who use GreenRope, look in the Account Settings > Integrations tab for more information. Prague was our next trip. I had visited the city twice before, once for a hockey tournament about 10 years ago, and recently to make some business connections there. We met with a couple other potential clients, a couple of them very large, and talked about how we'll be able to help them scale their sales teams and bring in realtime, useful marketing data to support them. We were again met with people incredulous at what GreenRope could do, and even found another potential partner there. Prior to this trip, I hadn't been to Slovakia or Hungary, and I was looking forward to the next steps in our journey. Slovakia split apart from the Czech Republic in a completely peaceful civil "war". They decided their languages and cultures, although similar, were different enough that they should be separate countries. Sometimes referred to as the "Velvet Divorce", in 1993, they drew up their borders and became their own sovereign nations. Slovakia doesn't have quite as strong of an economy as Czech, but the people there are just as kind and fun. I had a good couple of days exploring Bratislava, with my favorite being a trip out to see Devinn Castle. I learned a lot about their history, which is rich in trade and cultural migrations. I didn't know what to expect when I got off the train in Budapest. I have a couple of friends who had been there before and said it was a great place to visit, but I hadn't really investigated it. I was blown away. As it turns out, Peter Jackson used Hungarian architecture as inspiration for his Lord of the Rings movies, and I can understand why. Budapest is one of the most beautiful cities, if not the most beautiful city, I have ever been to. The architecture is mind-numbingly gigantic and ancient, yet maintained like it's modern. Everywhere you turn, you see beauty. It's a clean city, too, and very safe. Many people speak English, and our currency goes a long way there. If you ever get a chance to visit the city, take a few days to really see it. I happened to be there during the finals of the Red Bull Air Races, and got to see some amazing flying. It's hard to see in this picture, but the plane is actually flying UNDER that bridge. 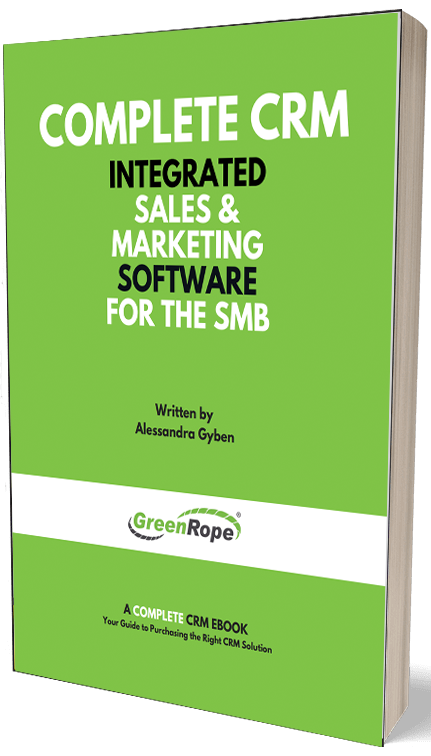 We had a chance to meet a prominent businessman there named Attila (seriously, Attila the Hun), who is going to use GreenRope as the basis for managing his sales team and client base of over 1,000 customers. The night before that meeting we were scrambling to get Hungarian (our 28th language) integrated into GreenRope, and we were able to show it to them in their native language, which made all the difference. Our support team worked around the clock to build in that language integration for the demo, and it came off great! Spending a month in Europe reminds me of how different life is there compared to life in the United States. People in many ways are the same everywhere. We all have our own personal struggles, but the culture and customs can be very different. Everywhere you go, you hear different languages spoken, and that's just normal. People eat outside at cafes, walk around cities, take mass transit, and know how important international relations are to growing businesses. It is harder to grow businesses in other countries than it is to find clients in the US, but I think finding new ways to grow is the kind of challenge that makes us better at what we do. When you learn how other people work, you learn ways to make your work better. I always approach meetings with other people with an open mind. What do they do for marketing? How do their salespeople find new leads? How do they support their customers? What information do they need to see to run their business efficiently? When we stretch, we open our minds up to new ways of thinking, and every time that happens we get a little bit better. Experience and keeping an open mind is what has driven our company to be what it is. Focusing on our customers and how they work fuels our own growth. We want to see every business grow to its full potential and we want to provide businesses with the software to channel that growth. I hope you learned a little about Europe, doing business there, and what it's like to be a business adventurer. If you have a chance to try it yourself, do it. The worst that can happen is that you walk away smarter. The best is that you find some amazing, inspiring partners in other markets who can bring your ideas to people who had never heard them before. When that happens, everyone wins. 1. Be respectful. Understand that different countries have different customs and ways of doing business. Listen and ask questions when appropriate. It's not an easy thing to open doors in different cultures, but if the people you meet know you want to learn about what they do and genuinely want to help them, they will be more receptive. 2. Rely on local experts. Building and maintaining relationships requires feet on the ground in the market where you are going. Find a partner there and take good care of that person or organization. 3. Be patient. It takes time to build trust, and many countries are naturally distrustful of foreign companies. Continue to be a resource for the people you want to work with and they will learn to trust you. 4. Research your potential clients. A little market research specific to the country you are in will go a long way. You will want to know if different technology or competitors exist in your market, and usually this information is easy to come by. If not, ask your local experts to get a sense of the business climate. 5. Be aware of market forces at work. If changes in currency valuation, laws, privacy, or technology are in process or coming soon, you may be able to leverage these changes to your advantage.